Last year Catherine shared her experience of being diagnosed with coeliac disease: it can be a life changing diagnosis and so we re-share Catherine’s story to help others in similar positions. Hi I’m Catherine, in 2014 at the age of 60 I was diagnosed with Coeliac Disease. The previous year I had my appendix out and I had no idea that such a routine surgery would impact the way I live the rest of my life. Following my surgery I began to experience problems with my gut. I didn’t really worry about it as I believed it to be as a result of my operation; however, strange things began to happen to my body. Firstly, I began to wake in the night with my hand feeling numb, and a few months later I began to develop a really itchy scalp and my hair began to fall out. This was a really unpleasant experience, aging is hard enough for women without losing your hair too! I booked an appointment with my GP who acted as if I was wasting his time. He prescribed me some dandruff shampoo and sent me away. I felt like I had been a bother, like I had taken up a doctor’s time unnecessarily. Things didn’t improve though, in fact, they got worse. The dandruff shampoo made no difference to the itching and my hair was still falling out. I then developed a rash on my elbows that looked like lots of tiny little blisters. I reluctantly went back to the GP but this time I saw a different doctor. When he looked at the blisters he asked me about my digestive health. I talked to him about my surgery and some of the other problems I had been experiencing and he told me about a condition called Coeliac Disease. He informed me that my rash was called ‘dermatitis herpetiformis’ and that due to its location it was a sign of coeliac disease. He felt that this along with my other symptoms, and the fact that I had undergone a recent abdominal surgery, that he wanted to run some tests. He advised me to continue to eat food with gluten before the tests. The blood tests came back and showed that I was reacting to gluten. He sent me for an Endoscopy, where a biopsy from my duodenum (the first part of the small intestine) was taken. A short while later I was requested to come in for another endoscopy and biopsy. I asked the doctor performing the second why I needed two, but the doctor said he didn’t know and that patients only normally have one. I found out by talking to people in my area that many of us had undergone this procedure twice. To this day we don’t understand why. My doctor then sent me for a colonoscopy, which came back clear. He also referred me to a dietician who advised me to join Coeliac UK. They sent me information about coeliac disease and a book containing all the foods that were safe to eat. Shopping became more like a trip to the library! I realised I had to read every label before I could eat anything. At first it was very time consuming. There were foods I was sure would contain gluten that didn’t and food I was sure wouldn’t that did. Then there is the issue of ‘contains gluten’ and ‘made in a factory where products containing gluten are handled’ and what this meant for me when choosing food. It was confusing and I decided to avoid both just to be sure. Although I had the book from Coeliac UK, I honestly haven’t used it very much. I don’t want to lug a text book around with me all the time and I find it quite a faff to search by hand. I know there are products in all aisles of the supermarket that I can eat but finding them takes up too much time and I find it quite stressful. For this reason I stick to the gluten free section that most major supermarkets now have. At least this way I know I’m safe to choose what I want without having to spend hours at the shops. Eating out is a different story. Many places now offer gluten free choices on menus. 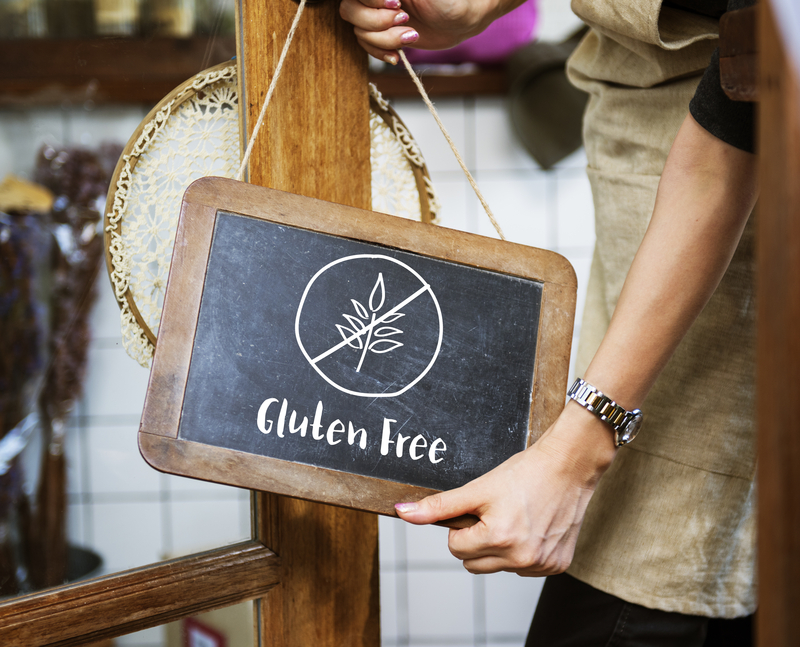 However, coeliac disease is not gluten intolerance and being gluten free doesn’t necessarily mean it’s safe for people with coeliac disease as there may be cross contamination. I find this to be the biggest misconception. Waiters/waitresses don’t seem to know if certain choices on the menu are safe for me to eat. Most places seem to air on the side of caution and very few will say they are sure that it is safe for me to eat. It would be great to know how to find places with gluten free choices on their menu in advance. I feel like an inconvenience when someone asked me out for lunch or dinner as I need to then search a suitable place to eat. I find this puts me off going out and I often end up staying in because it’s easier. There is a lot of misconception about my generations use of technology. While we might not be the millennials with their high-tech existence, many of us use smart phones and other technology every day. I myself have an iPhone and iPad. I use this for keeping in touch with people over apps like Facebook, checking the weather and even buying some items from different sites. If there was a way I could use my phone or tablet to get more adventurous, particular with dining out, I’d definitely get on board.